Finally, hemodialysis access that’s minimally invasive and patient friendly. Introducing the Ellipsys Vascular Access System. The Ellipsys Vascular Access System is a true game changer. A brand new way to create a percutaneous arteriovenous fistula (AVF) for hemodialysis patients. Avenu Medical has turned a complex surgery into a simple, outpatient procedure that leaves the AVF site vasculature undisturbed. Translation? Patients everywhere can take advantage of a unique, non-surgical option leading to faster, more efficient, less invasive vascular access! The common surgical procedure for fistula creation has remained the same for half a century. But all that’s changed. 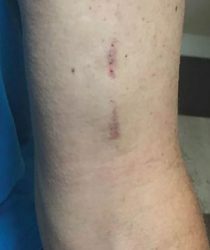 Unlike surgery, the Ellipsys System uses an endovascular approach that leaves the skin scar-free. No incisions. No sutures. Our surgery-free, permanent solution is a long-awaited and welcome change for hemodialysis patients. A new avenue for hemodialysis access. 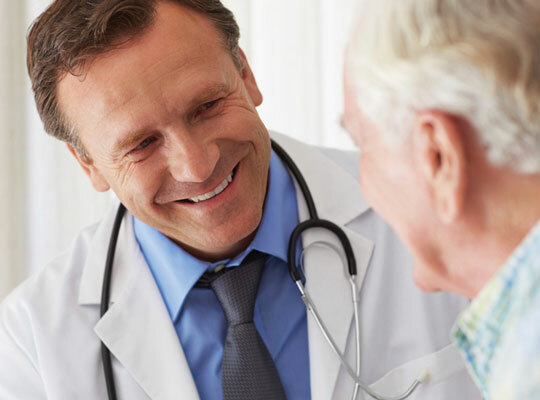 The Ellipsys System is brought to you by Avenu Medical, a well-established medical device company dedicated to developing minimally invasive, highly efficient approaches to vascular access. Ellipsys is approved by the Food and Drug Administration (FDA) for EndoAVF creation. To learn more, consult your clinician. Kidney patient advocate Terry Litchfield. Skip surgery. 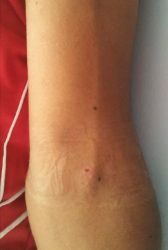 Go directly to vascular access. 1. 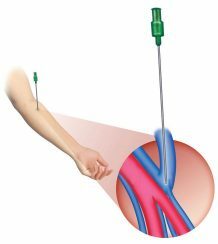 Guided by ultrasound, a tiny needle accesses the vein. 2. 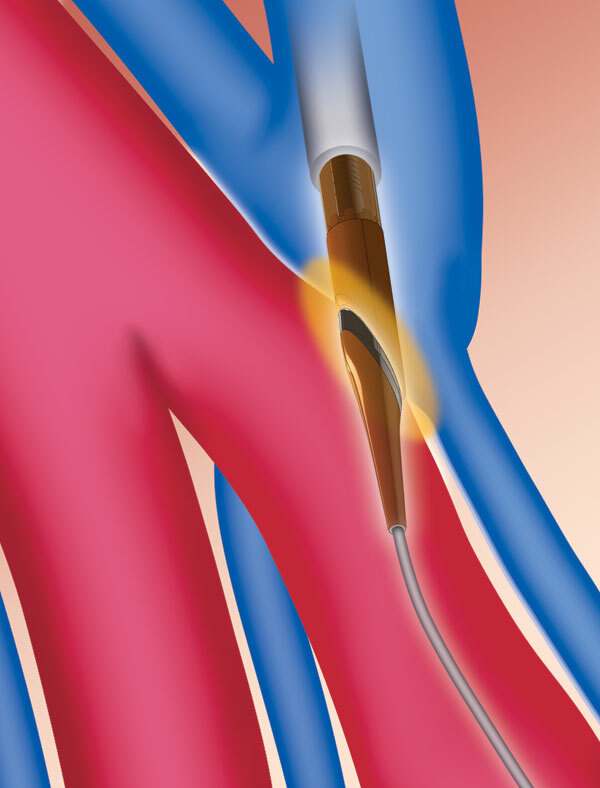 Once the needle reaches the artery, a guide wire is put into place. 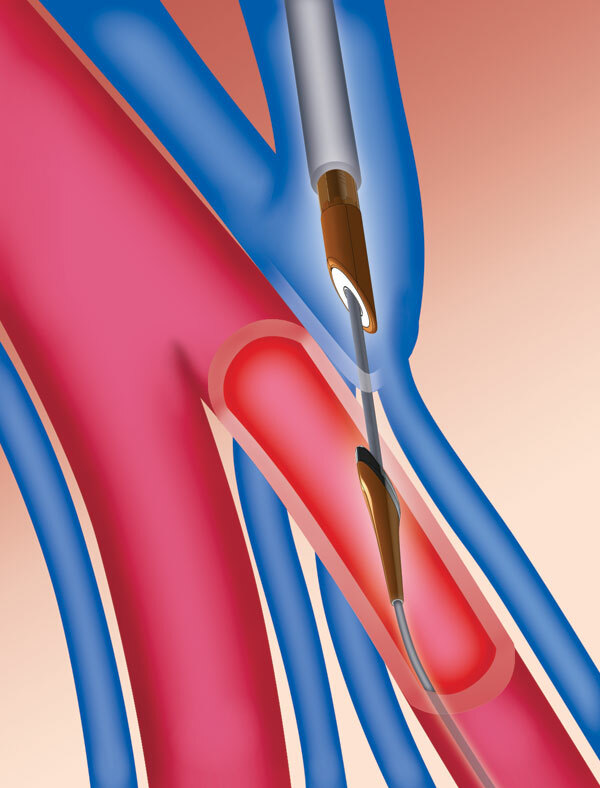 The needle is removed and a sheath is advanced into the artery (not shown). 3. 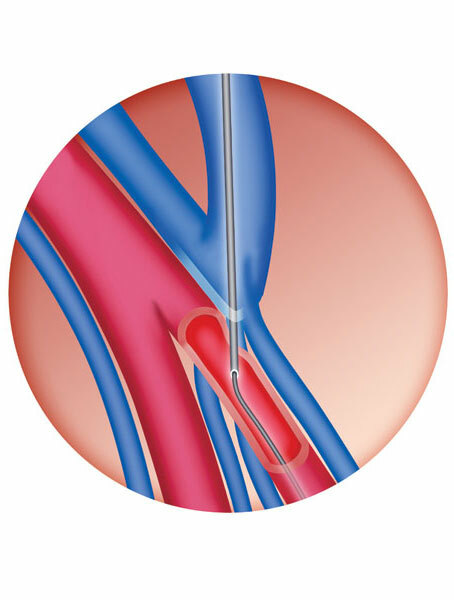 Next, the Ellipsys catheter is moved through the sheath, with the catheter tip positioned inside the artery. 4. 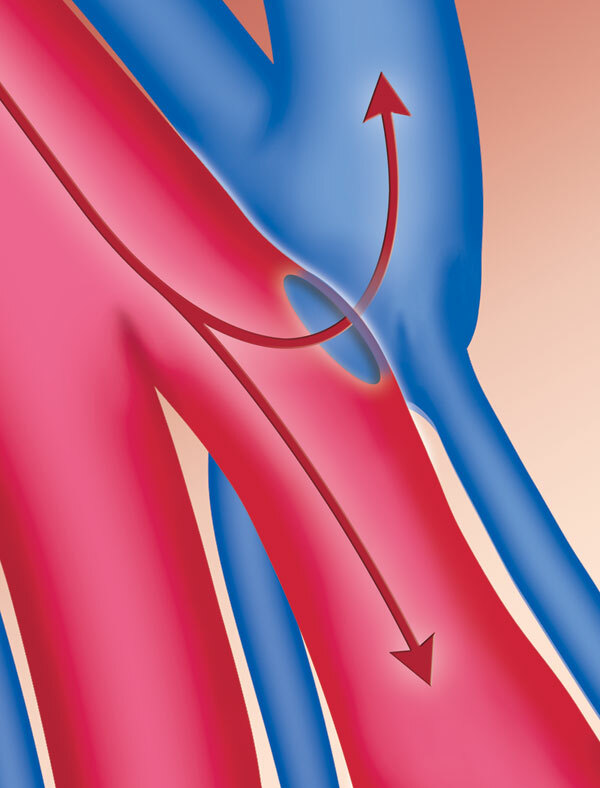 The catheter is closed and activated — creating a permanent connection between the vein and artery. Sutures are not required. 5. Finally, the catheter is removed resulting in AVF flow.